At Pristine Plumbing, we do it all when it comes to everything plumbing - From start to finish, we’ll take care of your pre-build drainage systems, the setting out your home’s pre-requisites off-the-plan, the installation of your appliances and internal and external plumbing, your gas connections, and add your metal roofing and associated guttering. There’s no end to what we can do as a one stop shop plumbing company. From the moment you contact us, we’ll discuss your requirements, supply you with a quote, and you’ll find our deep commitment to delivering the highest levels of workmanship and customer satisfaction to be second-to-none. 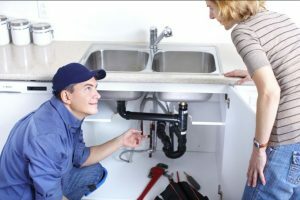 Emergency Plumbing Services - Repairs and Maintenance - Including Roof Leaks, Burst Pipes, Tap Replacements, Gas Leaks, etc..
We’re always on the ball and have extensive reach, but provide especially targeted services in the Melbourne suburbs of Dandenong, Cranbourne, Narre Warren Berwick, Noble Park, Glen Waverley, Endeavour Hills, Wheelers Hill, Rowville and Keysborough. Whether you need one plumber, or a team of plumbers, you’ll get the right plumbing services to suit your situation. On your roof, under your roof, in your house, or under the floor and underground. Wherever your plumbing problem lies – we’ll fix it! And we’re on-call 24 hours a day, seven days a week. Talk to us today about what you need for all things Residential Plumbing.